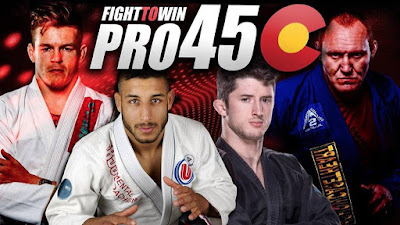 Fight To Win Pro makes its return to its hometown of Denver on August 18 with a card full of familiar faces and a main event comprised of two of jiu-jitsu's biggest rising stars. Black belts Thomas Keenan and John Combs are going head-to-head in the grand finale at F2W Pro 45. Both competitors are F2W Pro veterans and established competitors outside of the promotion. Keenan is an IBJJF Worlds medalist and a 2017 Abu Dhabi World Pro champion, and Combs won Pans and the U.S. National Pro as a brown belt. The card also features EBI veteran Nikki Sullivan and 2009 Rio Open champion Denilson Pimenta.